Tournament location: 19 Playford Crescent Salisbury North SA 5108. Tournament times: Registration and warm up from 12pm-2pm sharp. Information and questions from players 12pm-2pm. 2) First round pairing: Slaughter. 4) Player order: Rotating - Random order for the first game, then rotates player order evenly. 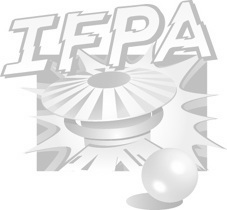 5) Scoring system: IFPA (7/5/3/1) (7/4/1). 6) Arena draws: Balanced - Attempts will be made to assign an arena that has been played the fewest times by all opponents. 8) Matches each round: Three matches. 9) Tiebreaker: Ties will be broken by the number of first place finishes, then by the number of second place finishes and finally, if necessary, a single game play-off.